I was really surprised to see this (pleasantly surprised). Colombians are even more environmentally conscious than we Americans are (we’ve gotten a lot better in recent years). For example, most stores and restaurants in the U.S. only have trash cans, not recycling bins for separate types of trash (paper, plastic, glass, etc.). I’m not sure I would say most such places here in Colombia do, but a lot of them do, far more than what I’ve seen in the U.S.
They’re also really big about conserving water. 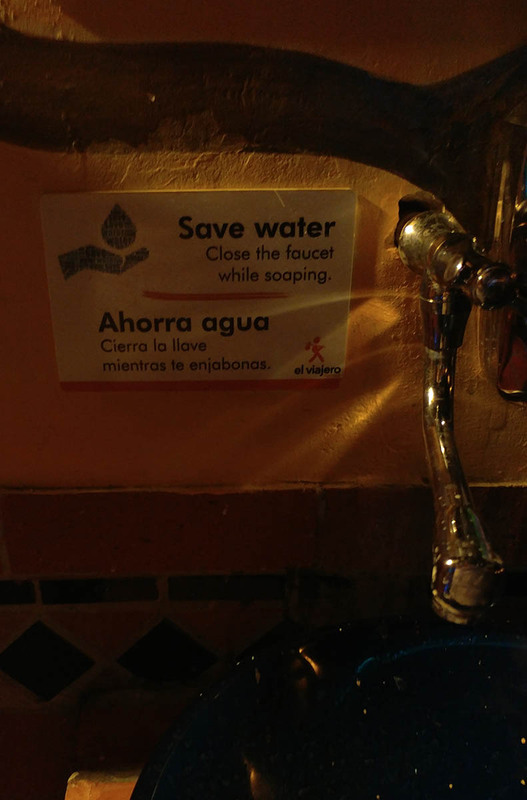 The hostel where I’m staying now in Cartagena has signs above every sink telling you (in English and Spanish) to save water. 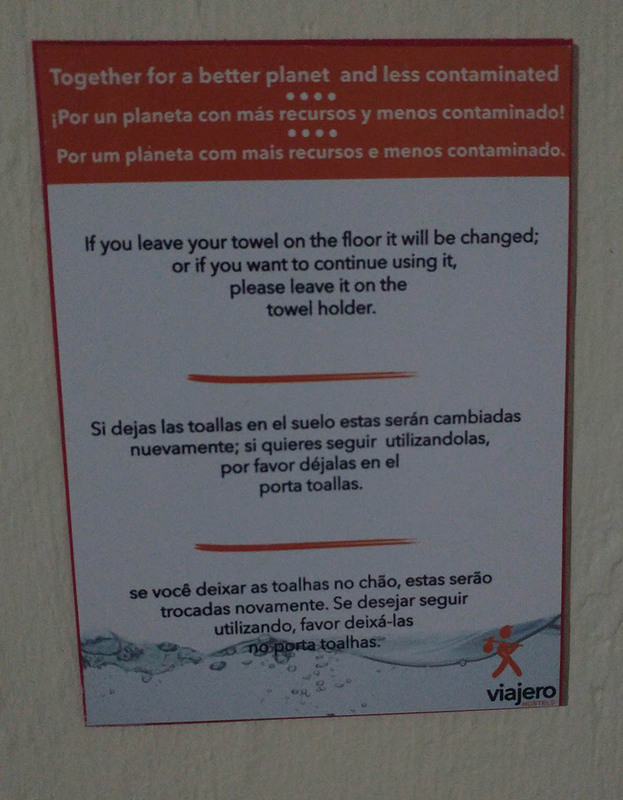 They also ask you to keep using your towels for as long as possible (signs in every room, pic below). My landlord in Bogota was emphatic about not using any more water than I needed to and about which bins were for what type of trash (basically recyclable and non-recyclable, I didn’t have to sort). Colombia isn’t fantastic about having lots of public trash cans around and emptying them before they overflow, but they’re not bad about it and you do often see recycling bins (usually for three types of material). If you search around a bit you can almost always find whatever kind of bin you’re looking for, whether it’s for non-recyclable trash or recyclable material. 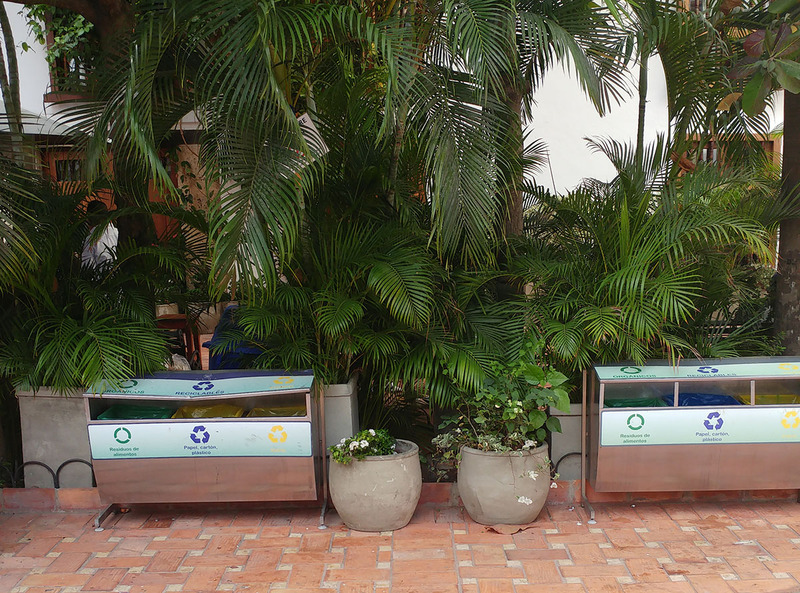 I was really surprised that even here in Cartagena (a rather dirty, crowded city, regrettably) there are trash cans and recycling bins at semi-regular intervals. That’s all for today, leave a comment please!